Is there a link between clutter and compulsion? And I’m not just talking about physical clutter – there’s the invisible, digital and mental versions to contend with. Manscaping. Yes it is a thing. No comment…or rather a few minutes of LOTS of comment. This episode is for anyone who lives in the 21st century, even if their home is an immaculate palace of order and minimalism. 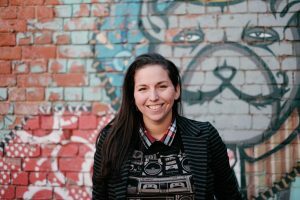 Mary from The Simplifiers podcast pops in and we have a chat about how mental clutter affects us and what we do about it. There is also a simple guideline to stop firefighting – be it with your home, your phone or the contents of your kitchen cupboard. 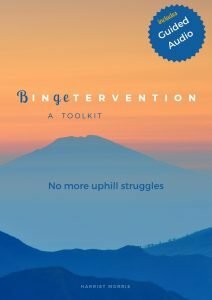 Make sure you listen in on Saturday to find out more about Bingetervention, an audio and written toolkit to help you walk away from your compulsive urges, however overwhelmed you feel. Helping small business owners finish 2018 strong, become a sales superhero and #DoTheThing! This free 5-day online challenge will help you get back on track to achieve your 2018 goals, shift your money mindset, gaining renewed clarity and revived confidence selling your products/services. Kicking off on Monday, Oct 1, 2018, this free challenge is specifically for business owners, creative entrepreneurs, event planners, photographers, coaches, graphic designers and marketers looking for accountability and a kick in the pants to inspire them to take action in their business and work. In simply 45-minutes per day for 5 days, you’ll get training, support, a workbook and accountability that’ll help you laser-focus and simplify…and ultimately, Do. The. THING!